Contemporary style comes to life in our Barkman Ripple Back Collection, and the Amish Ripple Back Pedestal Table is no exception. Explore the entire Ripple Back Collection to curate your best modern dining room, kitchen, or other gathering area. A natural choice for a counter (36") or bar (42") height table, this table offers ample leg room and pairs elegantly with striking Ripple Back Bar Stools. Order a sumptuous dining set with this solid wood table in 30" height, paired with unique Ripple Back Dining Chairs, available with or without arms. Friends and family alike will look forward to gathering around the inviting dimensions of a Ripple Back set. This inspired, Amish made furniture mimics the very environment from which it begins - the natural world. 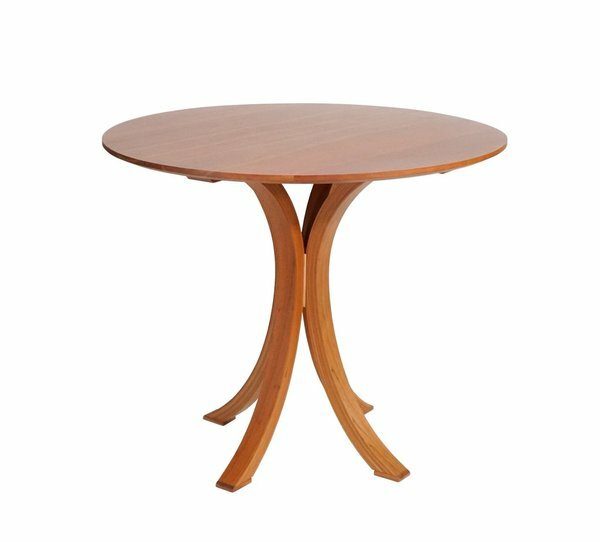 The Ripple Back Pedestal Table is the go-to choice for apartments and small homes where space is a precious commodity. See the extension version of this table, which includes one 18" leaf, with our Ripple Back Pedestal Extension Table. Any lingering questions? An Amish furniture specialist would be happy to help! Call us at with any questions about your options or for ordering assistance at 866-272-6773.